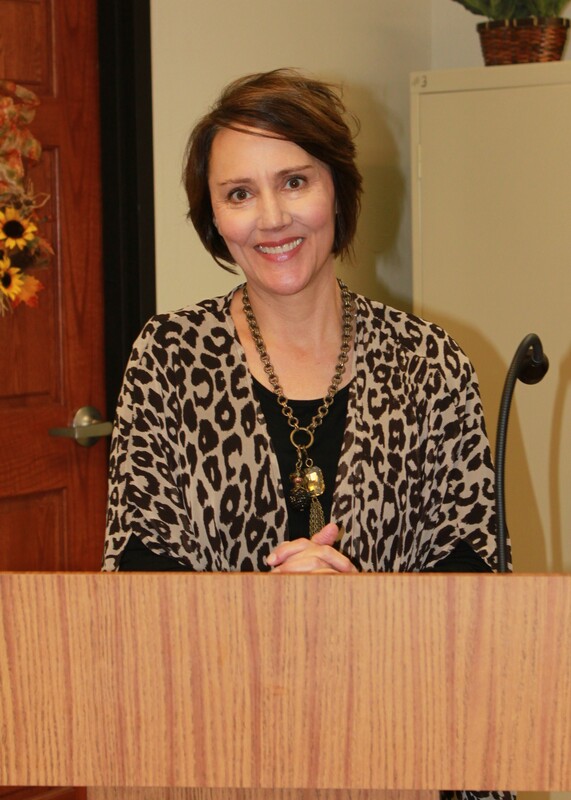 On Sept. 13, Mrs. Kane, known on the Pioneer Woman program as Hyacinth Kane, spoke to the Pawhuska Rotary Club about the Pioneer Woman’s store coming to Pawhuska. Kane described the renovated building, located at the corner of Main St. and Kihekah Ave., in Pawhuska. Kane: “Last summer, knowing that I used to Lowry’s Ree asked me if I could help her go to market and get the retail side of things up and running. “I’ve never wanted to be store manager … because it’s going to have a lot of moving parts. “My role primarily has been along with the buying and helping her get really talented people in key positions and recruiting people who are at the top of their game in their respective arenas. According to Kane, the projected opening date is Oct. 31, and the store will have a retail store, a deli/restaurant on the first floor and on the second floor there will be a bakery. They are really pleased with the person they’ve found to manage the deli. 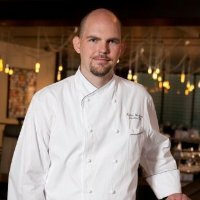 Kane: “Through her Food Network connections, she found a man whose name is Kurtess Mortensen, and he is really at the top of his game in the chef world in Las Vegas. He has opened a number of celebrity restaurants. His gift is really meeting someone, and taking their ideas and conceptualizing it and putting the processes into being that really executes their vision. He’s done that for Guy Fieri and Giada, some of those Food Network people who have their flagship restaurants in Las Vegas; he’s worked for Caesar’s entertainment. Then he went out on his own to do restaurant consulting worldwide. I kind of laugh because the last place he was opening a restaurant was Dubai. He went from Dubai to Pawhuska! “He was really this very humble, not flashy, very understated. He has grown up in southern Utah. He has a 12-year old and a 5-year old. He and his wife are this really solid couple, but they were living in Las Vegas … and he was ready to move,” Kane explained. The restaurant will also have take-out items to cook at home, she added. “They have two baristas to prepare world-class coffee. Ladd is very intent on having coffee open very early in the morning. There are a group of men that meet and need to have somewhere to go,” Kane said. Kane: “As is normal, there have been a variety of little construction hiccups here and there, so we’re probably looking, at this point, at the end of October for an opening. One hiccup has been the legal requirement of an elevator to the second-floor bakery. Kane is pleased with the economic impact these businesses will have on Pawhuska and the surrounding county. “From a town perspective, I’m just delighted because I think it’s going to be a huge shot in the arm. I mean, the e-mails of people that are planning, groups of people. I mean we can truly expect thousands of new people into our town. I mean, it’s going to be a big deal and I just pray that our local townspeople don’t get irritated by the traffic, you know, because we all realize this is a just tremendous blessing, I think ultimately for our commerce in general. “We’ve had some job fairs. Ree’s really committed to see that local people get a preference. We’ll probably hire 125 to 150 people, most of them part-time, but nonetheless great, well-paying jobs for that type of work. “There’s also the warehouse, that was formerly the Alco building and that’s where all the inventory is housed and she will have an on-line shipping operation too, or an on-line store. Fed Ex will be coming with big trucks every day and so that’s another aspect of the commerce that will be present in Pawhuska. There will be a full staff of workers that will be doing the shipping operation for that as well as the service that will be in the brick and mortar store downtown.